By Angelina Cheung | 06:54 請按廣告以支持本站! This chapter I want to share with all of you about weather, culture, language and currency of Iran, even the Persian calendar and number they are using. This will be useful if you are going to Iran to travel. The best time to go to Iran is April, May and September, October. The worst shall be July and August which are the hottest months. For January and February it is also not good as there are many places snowing. The northern territory will be freezing. 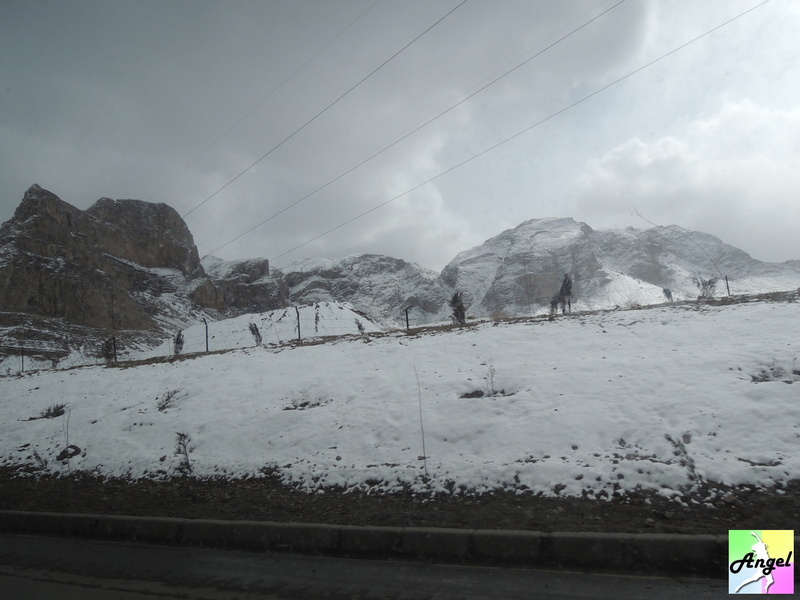 I heard people who had been to Tabriz saying that it was snowing heavily over there and was very cold. As I was travelled from the south, when I reached Tehran it was already two weeks after, the weather was good. But it is also nice to see the snowing Iran in winter. 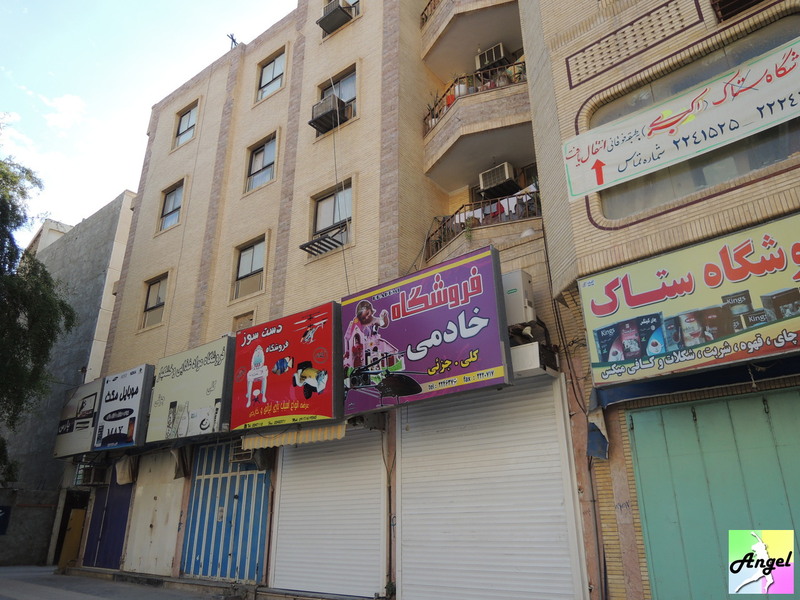 When I was in Yazd I went to a nearby town Kharanaq which has nobody leaving there. The rooftops were covered with snow and the scenery was so beautiful. It is completely different from which you will see in other seasons. I was glad that I went there at that time. In Iran for 25 days, there were only 2 days which was snowing. 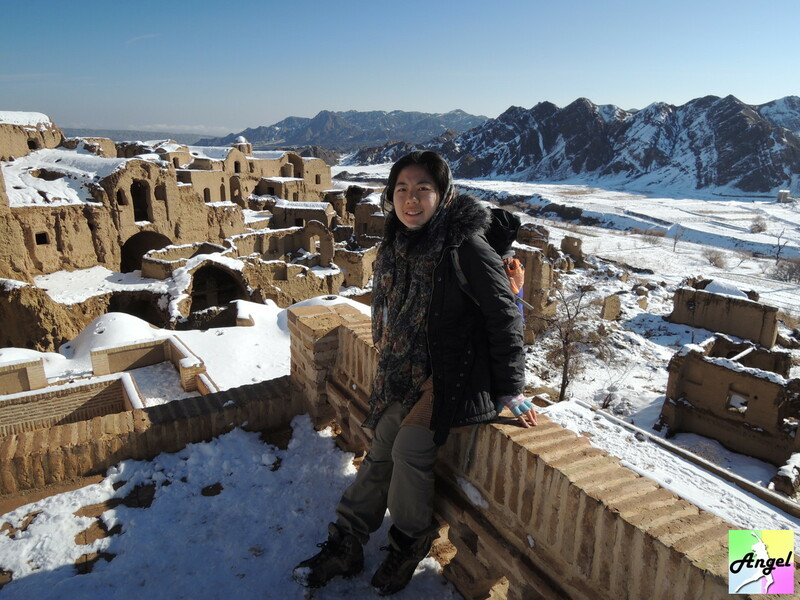 (The first is in Kerman when it was the start of my journey, it was hailing…I was thinking how I could survive in this weather for 25 days. But in the second day the weather was so good, I even did not need to put my jacket on. The last day in Isfahan it snowed suddenly, cold but beautiful. The streets were covered with snow and it was good to see.) The weather of other days were ok, although when it was raining it was quite cold, when it was sunny the temperature will be moderate. The reason I went to Iran in January and February is because my deadline of my working holiday visa for Australia was in middle of February. I needed to be in Australia before the deadline. As I didn’t know after one year anything will change for Iran or me changing the decision, I decided to fulfill my trip to Iran before my working holiday. The currency used here is Rial (IRR), you can only exchange it in Iran. It is better to exchange how much you need but not in excess. There are exchange shops in all tourist cities. For exchange shops, there are black market and the bank. I never went to bank to change money as the rate is bad. The definition of black market was only they were not bank. If you see some of your exchanged money was rotten, it is normal. If you really could not stand it (I could not accept my notes were torn off nearly into 2 pieces), just change it. Every day the exchange rate may vary, I exchanged 4 times in 4 different cities, all with different rate. 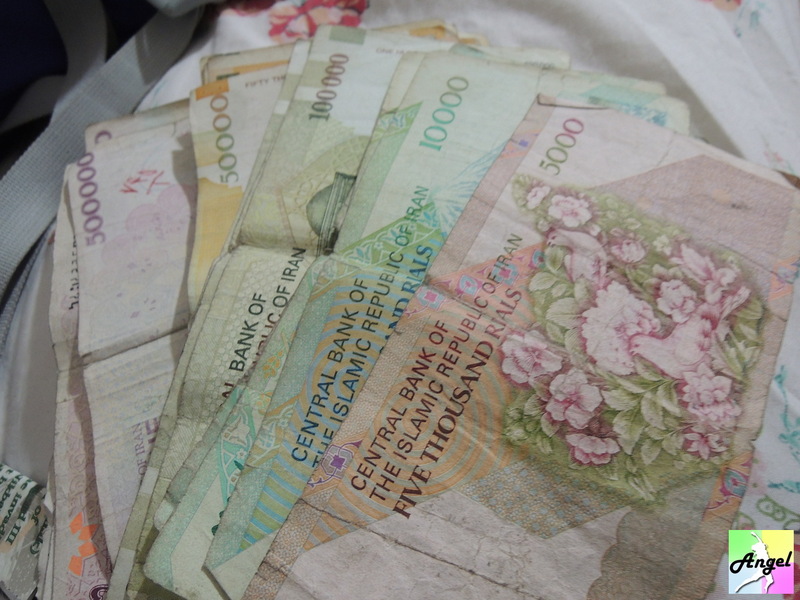 From 1US to 28,500 to 29,350 Rial. There are many zeros for their notes. The left 500,000 is used for hotel/hostel or taking city-city bus. The right 5,000 can only use to take public bus or buy 1-2 pieces of bread. All listed price on paper is using Rial while what sellers saying to you is Toman. So don’t think it is very cheap, you need to time the price by 10 for those spoken price. If you are not clear about the price, you can ask: Toman? Rial? Taarof, is Persian people’s common practice, you will think it is weird. The meaning of Tarrof is hospitable Persian people always reject what you offer. For example, they reject you paying while you are buying stuffs, even when you take a cab. But this is only a cultural stuff, you need to ask at least 3 times so as to confirm if it is really true. So we said thanks and leave the bus. But he did that because it is a part of culture. However, we did not have time to judge whether it was true or not, we accepted and left. Once we were walking on the street, there was a hawker selling some hot soup for breakfast and called us to come to his side. Lastly we accepted his offer and said thanks. But another occasion we took a cab, we thought the driver really did not want to receive the money and we just left. Suddenly the drive was raged and his face was terrible. Thus, you just need to judge yourself or ask at least 3 times for the offer. Persian people are nice but sometimes you don’t know how to react. You will get used to it lastly. The students were curious about me and wanted to take a photo together. 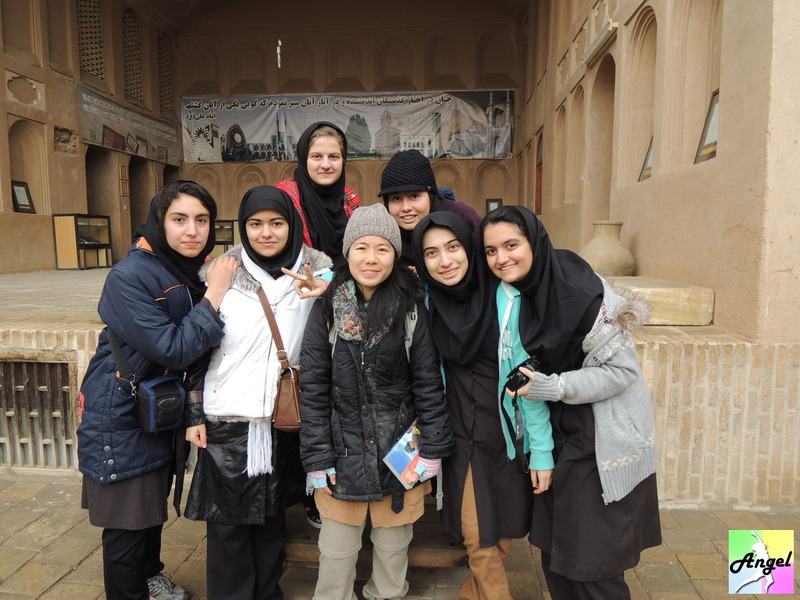 As there were rare tourists in Iran, especially little town, they will look at you and say hello, welcome to you. They will discuss behind you. Some Persian people who have better English will try to talk with you. But it is quite troublesome for a female tourist. I was followed by a man in Yazd for several streets. He wanted to walk with me so much but I just wanted to walk myself. Lastly I wanted to say about the closing time of the shops and bazaars. They like to close the shops at around 2pm and reopen at 5-6pm. This includes exchange shops, restaurants, bazaars, even the shops that sell bus tickets and museums. So if you know your schedule you better buy the bus tickets and change money earlier. The first day in Iran, I went to the exchange shop and wanted to compare with other shops. When I got back to the first shop it closed already and I needed to wait for 3 hours to get the money changed. At some time, you can hear some men’s voices singing. This is the mosque calling people to go there and pray. Islams need to pray 5 times a day, men and women are prayed separately. The prices for tickets between locals and tourists are very different. Tourists need to pay 3-7 times more than locals do. Basically they just pay 10,000-20,000 for entrance. But we need to pay 45,000-150,000. Once we went to a tourist spot, locals saw us being forced to pay 3 times more than them and they all think it was unfair. Although I did not know what the locals said to the person who sold the tickets, I know they were helping us to complain why we needed to pay much more than others. Lastly with our plead we (2 people) could get inside with only one ticket. 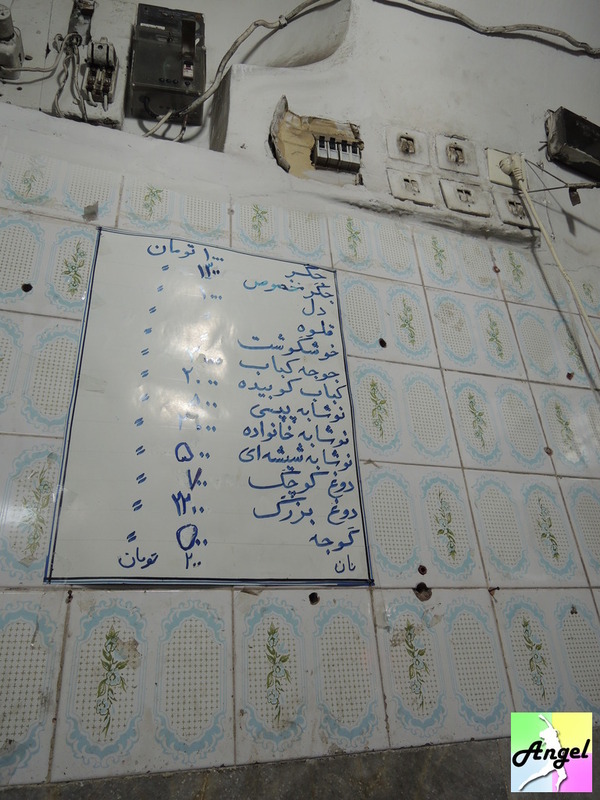 Some famous tea houses also have different prices for locals and tourists. And the entrance tickets for many of the museums/sites are the same. Persian people speak Persian, not Arabic. But at school they will also learn Arabic. I printed some sentences out for communication before the trip. But in fact the pages in lonely planet are useful enough already. The most important you need to know is the number. This is because almost all prices are listed in Persian number, like in restaurants, souvenir shops, museum, etc. It is similar to Arabic number, but not the same. 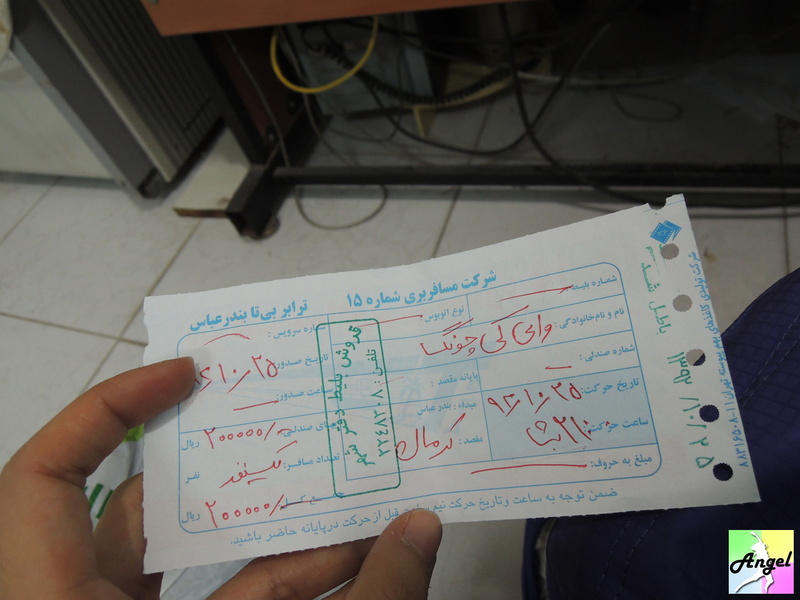 Even the bus number on the bus, bus/train tickets details are using Persian number. Only Persian and Persian number on the menu, it is time to point it out and ask. I heard people saying just “Chande” for asking how much, so I learnt and followed. Originally I wanted to see if I can learn some words from their shops’ names. But it is too complicated and I could not even understand one word. P.S. 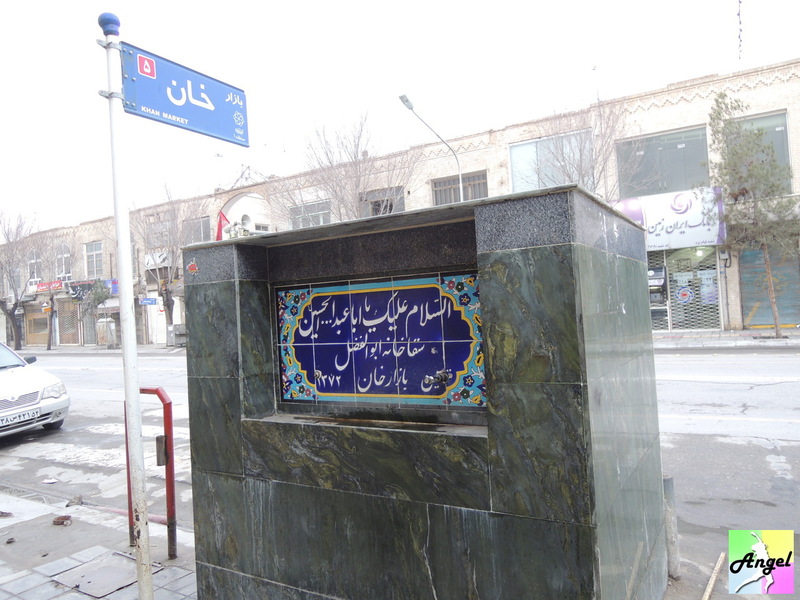 Persian is read from right to left. It is a drinking station. You can see lots of them on the street. As summer is really hot here, drinking station let people drink enough water at summer. So it is better to know all number first. If things did not list out the prices we will pretend pressing the buttons on the calculator so the sellers will pick up the calculator and show us how much it is. 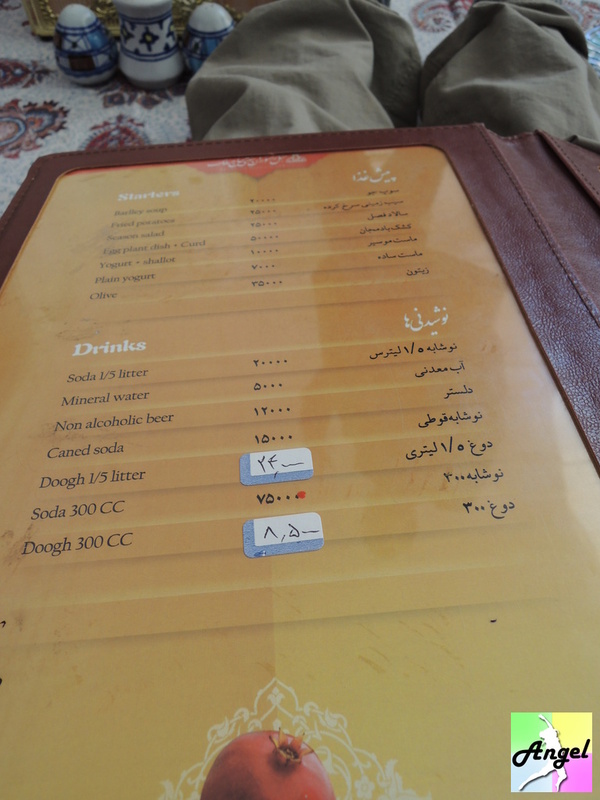 Sometimes even they list out the price you do not know what they are as they wrote the things in Persian. So we will use our fingers pointing on the menu and ask. Sometimes it will be easier if we pointed out what people were eating and just ordered the same. If they don’t have calculator and pen and cannot communicate, you can just take some notes out and they will show you how much you need to pay. Persian people use Persian calendar. It is good to print one before you come to Iran. For this bus ticket, the second last row in right bottom stated 92.10.25 in red, this is the departure date, which is 15.01.2014. So it is good to know both Persian calendar and Persian number. And another reminder is they have new year in end of March. Best not to travel during that time as all accommodations are full easily and things are expensive. Some museums even close in new year. Hope you will know more about Iran after reading this chapter and you can have more information before coming to Iran.